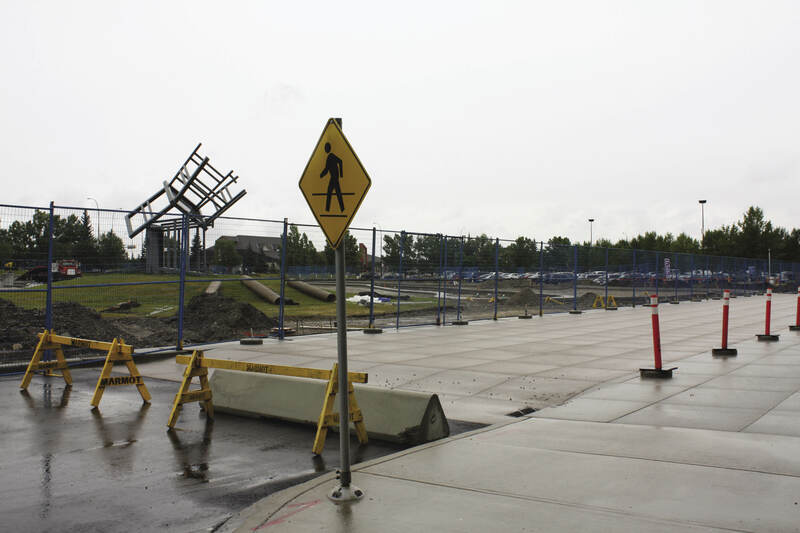 The ongoing construction of a new transit hub outside Mount Royal University’s West Gate entrance has caused road closures and bus detours that may inconvenience students during the first month of classes. In anticipation for the new west LRT line in 2013, this expansion will increase the number of bus routes that will access the university, a number which will “double the number of buses coming to the west side of the campus,” according to Stefan Durston, Mount Royal’s parking and transportation service manager. 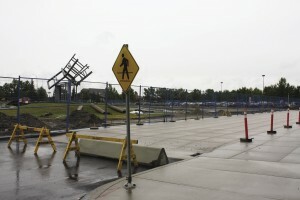 Construction is expected to be completed mid-October, but project manager Kim McKellar said the transit hub was originally supposed to open mid-September. Problems with the sewer lines and delays due to weather caused the date to be pushed back. Bus routes 13, 72 and 73, which usually stop in front of West Gate, will be detoured to Richardson Way SW. This will make for a longer and darker walk for students, as streetlight installation will not begin until the first week of classes. “I can’t guarantee that lighting will be done by October,” McKellar said. However, there are some perks to the changes, including new landscaping and, most importantly, a heated bus shelter with a door and multiple heaters. Despite inconveniences, these changes should be a positive addition for MRU as well as for students who have been previously limited to a small handful of bus routes. Increased accessibility might be the difference for many between driving and taking the bus, especially since parking rates in day lots A and B increase from $4 to $5 this semester. “The money goes to pay for all transportation projects,” said Durston. The new transit hub, as well as all future parking projects, is paid for by parking revenue and Durston said it’s been three years since the last price increase. While students may have to put up with construction crews outside West Gate and Wyckham House for a little while, in the long run the project is going to greatly improve the university’s accessibility, making traveling by bus much easier in the future.